Desert Haveli Resort & Camp Jodhpur is one of the best hotels in Jodhpur. It is a beautiful place to stay and enjoy many types of adventurous activities. It is constructed in true rajasthani style which shows the royal and vibrant culture of royal rajasthan. It is the true example of architectural heritage built in modern style with all the comforts and coziness. 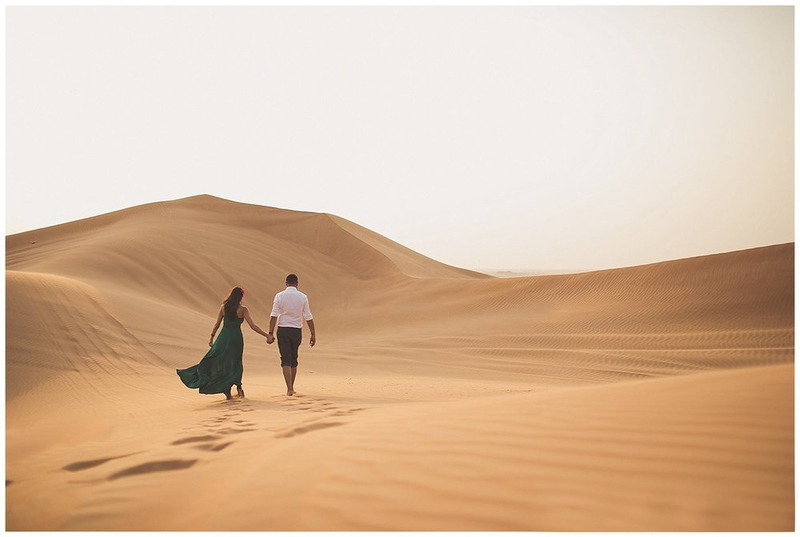 It is a perfect place for your pre wedding photo shoot in Jodhpur or if you are planning a pre wedding photo shoot in Rajasthan. 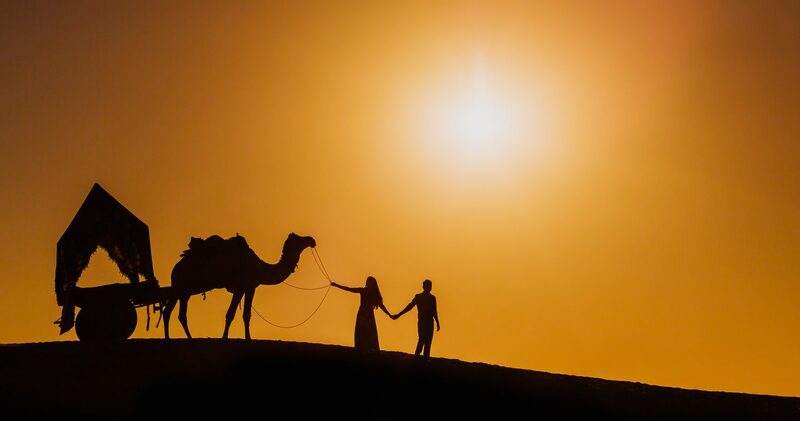 You can enjoy your heritage photoshoot in Jodhpur, you can also go for some adventurous activities and enjoy comfortable stay in the royal resort rooms or luxurious hotels in Jodhpur. This property gives you the special feeling and immense love plus care which you will definitely not get at any heritage hotels of Rajasthan. Here personalized guest care is given with gracious hospitality services to the valuable guest. And you can get all of it by just simply doing hotel booking Jodhpur in The Desert Haveli and Resort Camp. It is the only property known very popular as best heritage resort for pre wedding photo shoot in Jodhpur. And also very famous for destination wedding in Jodhpur and destination wedding in Rajasthan with royal heritage theme. It is a premium class resort located between the two major cities Jodhpur and Jaisalmer with utmost comfortable stay, ultra modern facilities and high profile hospitality services. 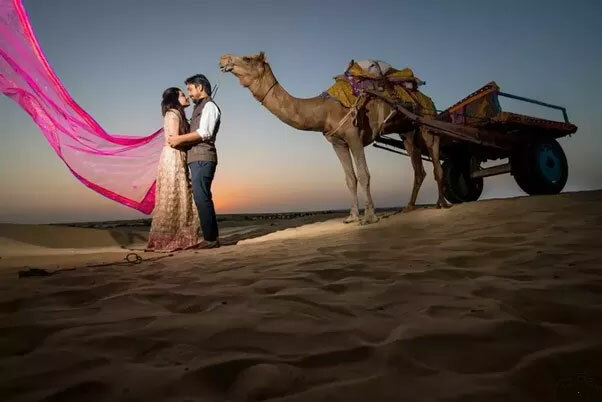 It is a multi purpose property where you can even enjoy your vacation, you can organize your family functions also if you want to go for destination wedding after having an amazing royal pre wedding shoot in Jodhpur. It will work as a small fortress for your function and make it the most memorable event of your life. Twenty beautifully installed air conditioned cottages are the pride of Haveli Resort. Most of the cottages have double rooms, a small area and all have attached modern bathroom, which are spotlessly clean and tastefully adorned. Each cottage is very welcoming and intimate. With rural surroundings, it is a heaven of peace and tranquillity. Sprawling lawn and manicured gardens and the bird song is the only voice you hear. They offer the perfect gateway to meet your each and every requirement. They also have a stunning Swimming pool, a massage parlour and a small gift shop where the books, pottery, antique items and rugs are available on sale for the visitors. You would experience the warm hospitality and enjoy some truly delicious Indian-traditional Rajasthani food, cooked with farm fresh vegetables which are grown in our own farms, devoid of any chemical, fertilizers, insecticides and pesticides.